A rare opportunity to rent this immaculately presented house adjacent to Harrods boasting lift access to all floors, air conditioning, dumbwaiter system and private patio garden. 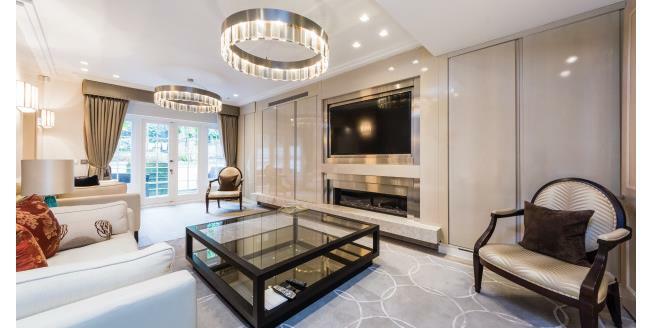 The property has been renovated to an impeccable standard comprising an entrance hall, coatroom with bespoke storage, generously sized reception room, first floor master suite with ensuite, dressing room and French windows opening onto a private balcony. On the lower floors there is a spacious kitchen dining room, family room, pantry, plant room as well as staff quarters with ensuite. Upward from the second floor consists of a spacious study (that could act as a double bedroom), four further double bedrooms (that include either bespoke fitted wardrobes or dressing rooms) and all feature ensuite bathrooms. Hans Place is a highly desirable location that is in very close proximity to Harrods, Harvey Nichols and luxury brand flagship stores on Sloane Street. Knightsbridge and Sloane Square underground station are also in close distance providing access to Piccadilly, Circle and District line. There is also the communal gardens which can only be access by residents of Hans Place.